The resource series consists of six modules, each consisting of a poster, and a set of teaching materials. 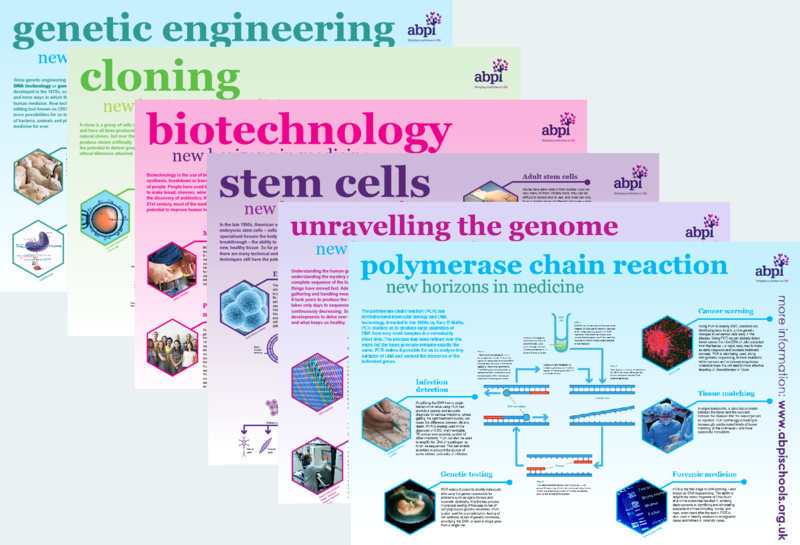 There are six topic areas covered by the New Horizons in Medicine resource series: Biotechnology, Cloning, Genetic engineering, Polymerase chain reaction, Stem cells and Unravelling the genome. Posters can be ordered from the ABPI website and are free by UK schools. Alternatively, high resolution PDF copies can be downloaded along with the teaching materials.